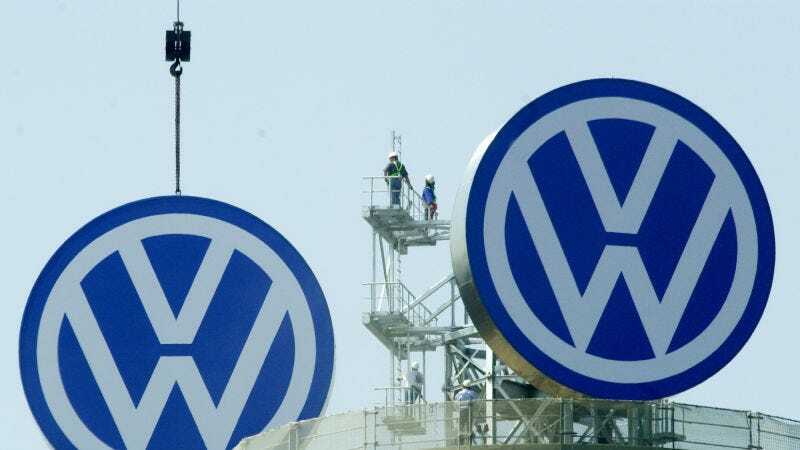 Already rankled by allegations of running a cartel and the never-ending Dieselgate fiasco, Volkswagen learned on Tuesday that it has also been barred from receiving research financing from the European Union, according to The New York Times. The decision from the European Investment Bank couldn’t come at a more inopportune moment for the automaker. VW has been trying to bounce back from since the scandalous Dieselgate saga broke in 2015. While the industry was pouring significant resources into the development of electric vehicles with automated features, VW was putting its money towards settling $25 billion in lawsuits in the United States. The European Anti-Fraud Office found that VW mislead authorities about how it used $472 million it received from the investment bank to develop diesel engines, according to the Times. The investment bank has about $830 million in outstanding loans to the company, the newspaper reports. Volkswagen used some of the money to develop the EA 189 diesel engine, according to the European Investment Bank. That was the same engine at the heart of the emissions scandal. The investment bank, which provides loans to companies for research and other uses, said Tuesday that it would not issue any new funds to Volkswagen while it examined what further action to take. Since 1990, the Times says, VW has received about $5 billion worldwide in funds, and one-third of that amount was used to make cars for environmentally-friendly. The decision, even if temporary, could hamper the automaker’s research prowess. VW’s reportedly in the process of developing an all-electric lineup to keep in-step with competitors. So the cost of the Dieselgate cheat may prove to be more for VW than it ever imagined. Volkswagen Finally Has A &apos;Fix&apos; For Almost All Cheating 2.0-Liter Diesels In The U.S.